HIGH-QUALITY – Constructed from sturdy food grade carbon and high grade 304 stainless steel, so you can continue to use your double pasta cutter attachment for many years to come. 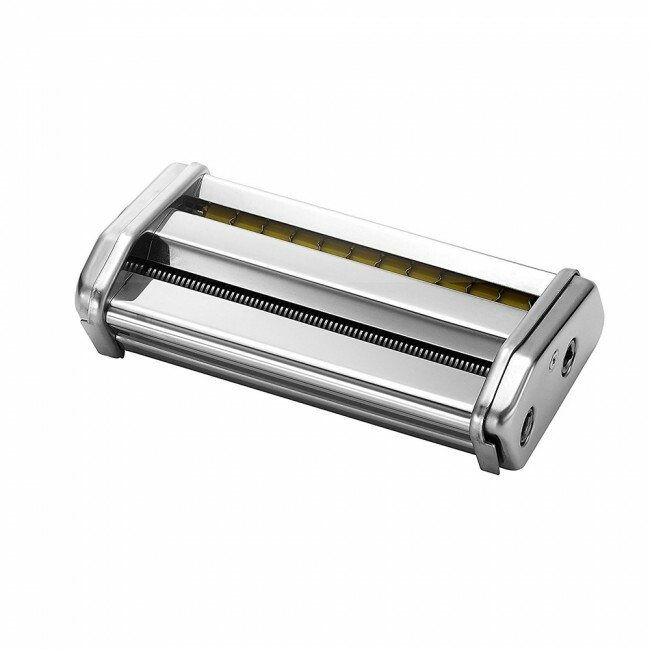 COMPATIBLE – This double pasta cutter attachment is compatible with Ovente PA515 Series 150mm Pasta Makers ONLY. EASY TO USE – Slides perfectly in between the 2 metal holders on the back side of the pasta maker. To detach, simply slide the attachment upwards. 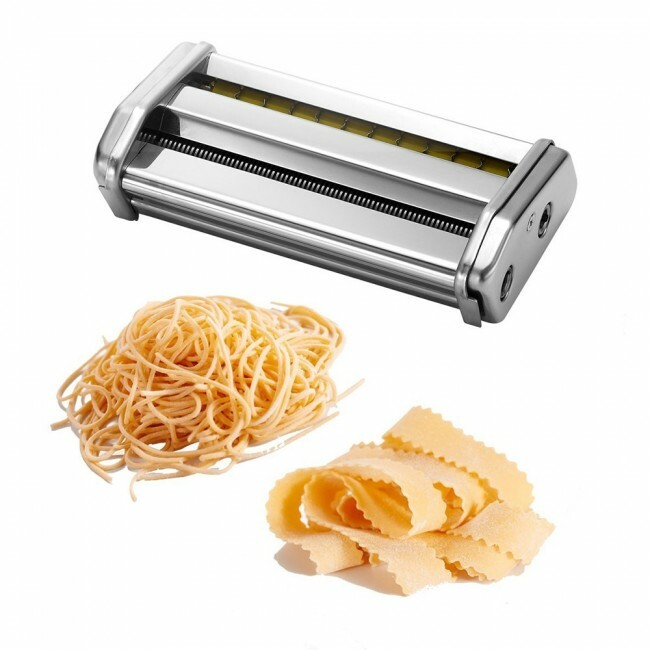 Use the hand crank to roll the dough through the pasta maker as this cuts your pasta for you. 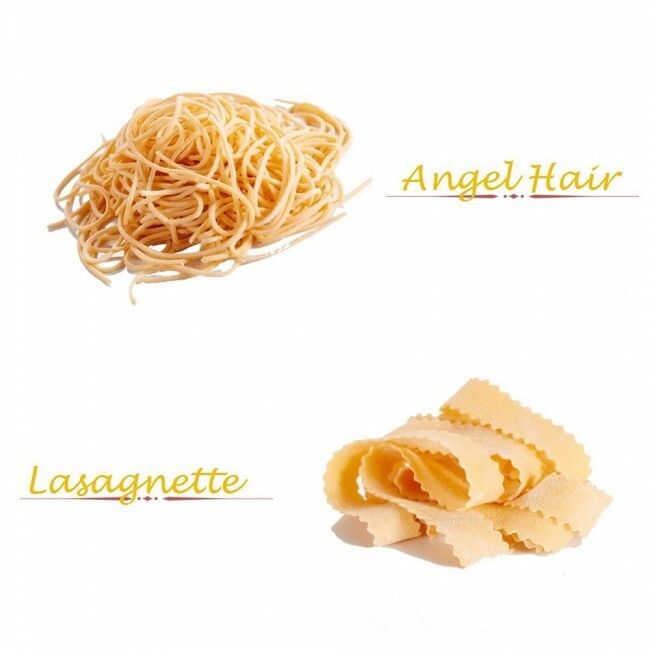 VERSATILE – Makes 3 different types of pasta: angel hair (1mm), capellini (1mm), and lasagnette (12mm). The Ovente Double Pasta Cutter Attachment for Angel Hair (1mm), Capellini (1mm), and Lasagnette (12mm) is well-made with chrome plated, sturdy all-metal construction. It helps make creating fresh, homemade, and authentic Italian pasta a lot more user-friendly because it is easy to attach, detach, and cuts your pasta for you. Angel hair and capellini are very thin types of pasta that are great for light seafood sauces or oil or cream-based sauces. On the other hand, Lasagnette is a wide, thick ribbon pasta that’s great for chunky meat sauces like bolognese.